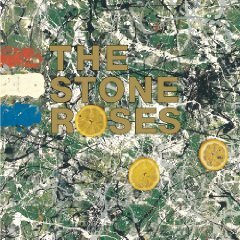 The Stone Roses made a huge splash in 1989 with its brilliantly conceived, self-titled debut. However, all of the attention it received was squandered when a lengthy legal battle delayed the release of its sophomore set. By the time that Second Coming hit store shelves a few years later, the public’s attention had turned elsewhere. Disillusioned, the Stone Roses disbanded. Hoping for another chance at success, the outfit is planning to reunite for a series of shows in Manchester, England next summer. The band also secured a pair of new record deals — with Columbia in the U.S. and Universal everywhere else — which means additional music as well as an extended tour are likely to follow. More than five years after its induction into the Rock and Roll Hall of Fame, Black Sabbath made a formal announcement in November that its original lineup not only was planning to reunite for a world tour in 2012, but also was in the midst of recording a new album with producer Rick Rubin. For the first time in 33 years, Ozzy Osbourne, Tony Iommi, Geezer Butler, and Bill Ward have set aside their differences and have begun the process of writing new material. Although the untitled effort won’t be issued until next fall, Black Sabbath has already begun lining up concerts in Europe for late spring and early summer. Meanwhile, Bruce Springsteen is planning to spend most of 2012 on the road with the E Street Band. Tickets for the European leg of the tour, which will stretch from mid-May through late July, are already on sale. U.S. dates are expected to begin in March. Springsteen announced that Wrecking Ball, his next album, will be issued on March 6, just prior to the start of the tour. The global excursion is certain to be an emotional journey for the group. Key member Clarence Clemons passed way in June 2011. On November 1, The Beach Boys compiled The SMiLE Sessions, a long overdue examination of rock ’n‘ roll’s most fabled unfinished recording. Even before then, however, rumors were flying about a possible reunion of the original members of The Beach Boys to honor the group’s 50th anniversary. As it turns out, all of the news that has surfaced over the past year has been true. Brian Wilson, Mike Love, Al Jardine, Bruce Johnston, and David Marks have been busy preparing for a 50-date international tour that will begin with a performance at the New Orleans Jazz & Heritage Festival in April. The outfit is planning to perform its hits as well as deeper cuts from its endeavors. In addition, The Beach Boys has been working on material for a new studio album, and it has been scouring its archives to assemble commemorative editions of key efforts from its back catalogue as well as a career-spanning boxed set. Dr. Conrad Murray has been held accountable for his actions, which had resulted in the untimely death of Michael Jackson. Murray had been prescribing surgical sedatives and other drugs to the late pop star. Murray was found guilty of involuntary manslaughter and sentenced to four years in prison for administering the dose that killed the singer. Throughout the six-week trial, Murray was unapologetic, which led Judge Michael Pastor to condemn his behavior by giving the physician the maximum possible sentence. Murray’s lawyers intend to appeal the verdict, but even if they lose, the doctor isn’t likely to serve the full term. The votes have been tallied, and the Rock and Roll Hall of Fame has announced the list of artists who will join the institution’s esteemed roster in 2012. The Beastie Boys, Laura Nyro, Donovan, the Red Hot Chili Peppers, Guns N’ Roses, and The Small Faces/Faces will be inducted into the Rock and Roll Hall of Fame in Cleveland on April 14. The 27th annual ceremony will be broadcast on HBO in early May. Don Kirshner will be honored with the Ahmet Ertegun award for his work as a producer and manager, and blues guitarist Freddie King will be inducted as an early influence. In addition, R&B historian Cosimo Matassa as well as producers Tom Dowd and Glyn Johns will receive awards for musical excellence.